• Preheat oven to 400˚. • In a Dutch oven cook the macaroni until al dente and drain the macaroni in a colander. • Return the empty Dutch oven to the stove top, and over low heat melt the butter. • Increase heat to medium, add the flour and cook 2 minutes whisking constantly. • Raise the heat to medium high and slowly whisk in the milk a ½ cup at a time. Whisk until smooth after each addition. • Keep whisking until it starts to simmer, continue whisking, and slowly whisk in the wine. • Add the ground mustard, salt, garlic powder, pepper, oregano and basil; whisk to combine. • Add the cheeses a handful at a time whisking until the cheese completely melts between each addition. • Add the al dente macaroni and stir to combine. 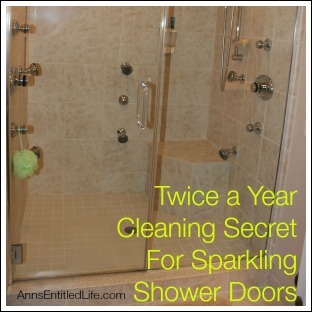 • Pour the mixture into a greased 13″x9″ pan and bake at 400˚ until bubbly and browned, 15-20 minutes. • Serve hot garnished with chopped fresh Basil. Want a good, easy recipe the entire family will enjoy? Here you go. This is an excellent lunch, side with soup, side with dinner (or as dinner itself). 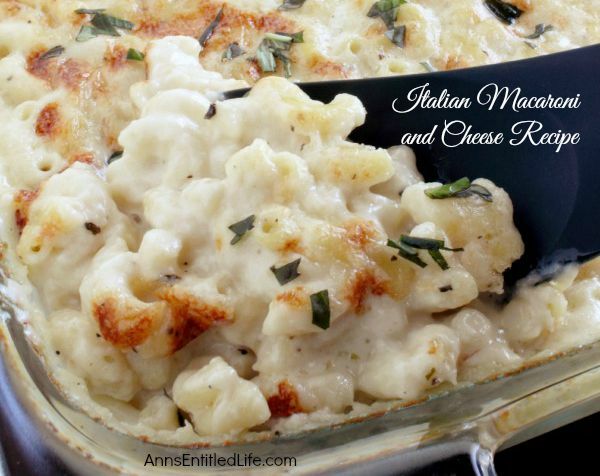 It is a grown-up mac and cheese that the kids will love too! 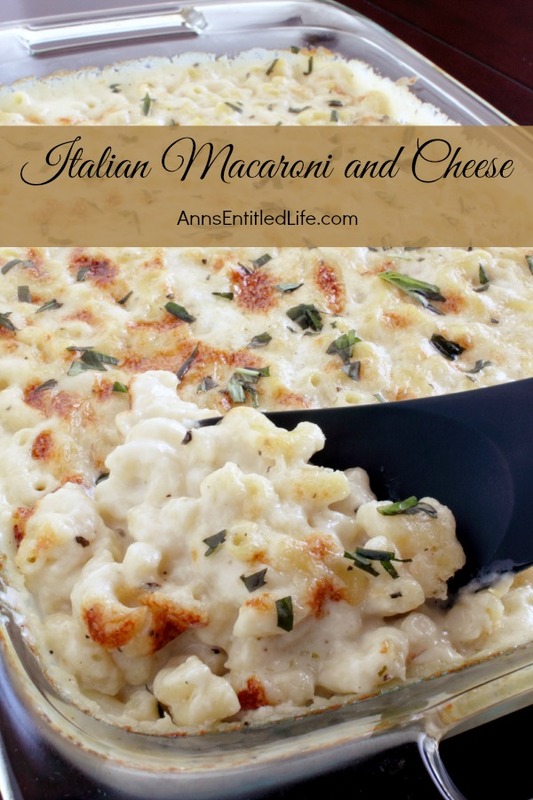 • To print the Italian Macaroni and Cheese recipe click here. 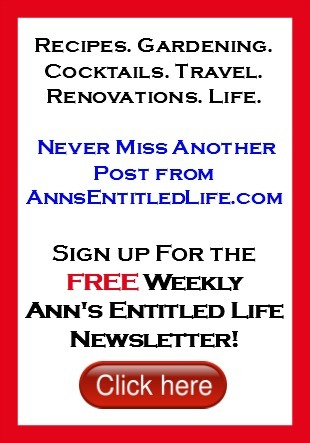 Well that looks and sounds beyond yummy Ann! I love the addition of white wine. I know that pairs wonderfully with the fresh basil! Yum!! Hmmm that was “fixed” last year, Didi. Thanks for letting me know. I will look into it again. I just love new Italian recipes and this one sounds great! It has been husband approved so I pinned it! Thanks for the recipe! Oh my goodness-YUM!!! I’m definitely pinning your recipe! 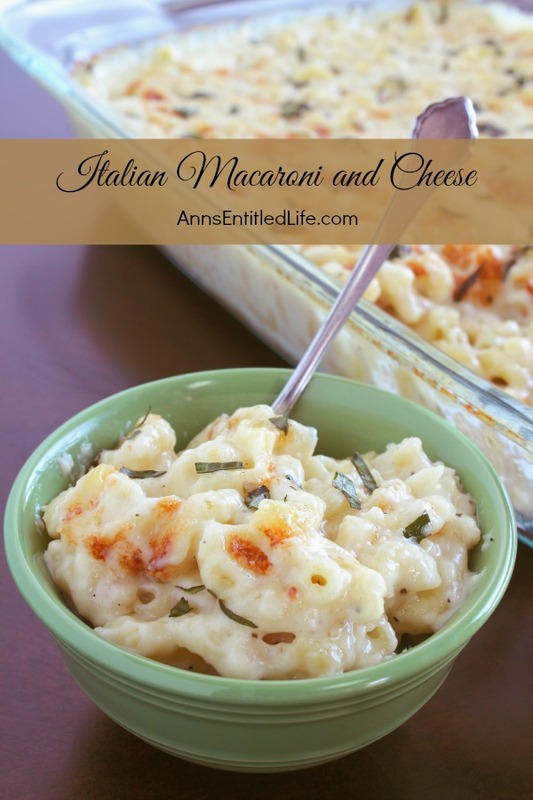 I’ve always struggled with homemade macaroni and cheese-but I can’t wait to try your Italian style! 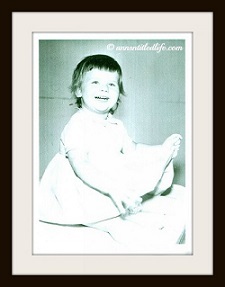 Thank you for sharing at The Wonderful Wednesday Blog Hop! This looks and sounds SO good. 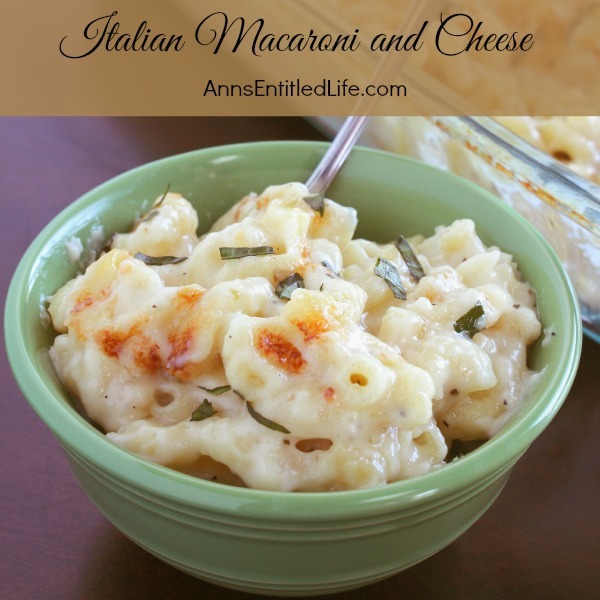 LOVE Italian flavors but never had them in a mac & cheese! Perfect comfort food for this time of year! Looks delicious! I couldn’t find the wine. Would this taste fine without it any ways? This sounds so yummy. I am going to also add some sweet italian sausage. I can’s wait to try it. Sounds delicious! Is this freezer friendly? What kind of white wine? I’m not experienced with using wine with cooking. Any information would be great. Thanks! You can actually buy cooking wine if you don’t have anything at home to use, Jodi. Another good choice is cheap. Stay away from a really sweet wine (like a moscato or riesling). Hubby prefers a Chardonnay which can be buttery, oak-y or steel drum. This recipe is a keeper! My husband thought it tasted like Alfredo Mac and Cheese. I’m very glad I used brown rice elbow noodles so I could enjoy it, too. Other than that, no substitutions were made. Next time, my family requested that we skip the oven, and enjoy from the stove-top (personal preference). Thank you so much for this delicious recipe! I am glad you and your family enjoyed it, Stephanie. Thank you for the feedback! Before adding the cheeses do you let the white sauce thicken first? 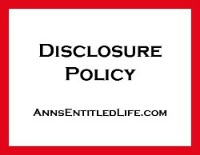 I have never heard of a 13 X 9 inch pan did you mean 9 X 13 inch , and do I cover with foil? Linda, was that a serious question? If so, I’m raising an eyebrow at that being your initial comment. Are you kidding me, Linda? This was so good! I made it for dinner tonight and loved it. I only added a splash of wine but I loved all the cheese and seasonings. I may skip the oven next time but I can’t wait to make this again. Thanks for the recipe! 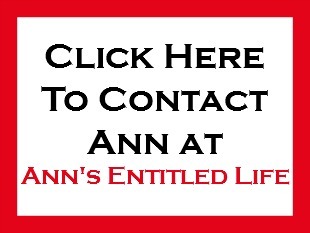 Yum, Ann! 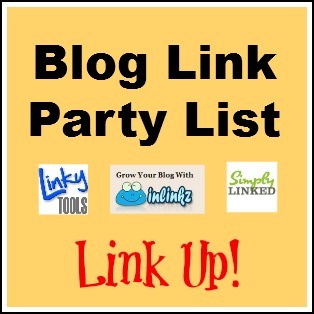 Thanks for sharing with HomeMattersParty! Fun to have YOU on my comment schedule! 😉 This recipe looks divine — definitely making for supper club soon! Now this is a recipe that I can sink my teeth into. I just love anything Italian! That looks pretty nice, although, with my limited cooking skills, I’m not sure how well it would turn out! Would it work without the Dutch oven?